You'll be £16.99 closer to your next £10.00 credit when you purchase The Endurance. What's this? 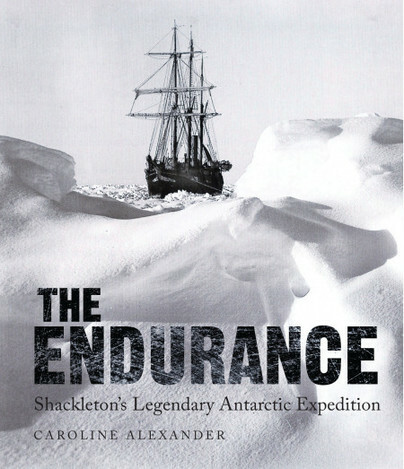 Drawing upon previously unavailable sources, Caroline Alexander gives us a riveting account of Shackleton's expedition – one of history's greatest epics of survival. And she presents the astonishing work of Frank Hurley, the Australian photographer whose visual record of the adventure was never before published comprehensively. Together, text and image re-create the terrible beauty of Antarctica, the awful destruction of the ship, and the crew's heroic daily struggle to stay alive, a miracle achieved largely through Shackleton's inspiring leadership. The survival of Hurley's remarkable images is scarcely less miraculous: The original glass plate negatives, from which most of the book's illustrations are superbly reproduced, were stored in hermetically sealed canisters that survived months on the ice floes, a week in an open boat on the polar seas, and several more months buried in the snows of a rocky outcrop called Elephant Island. Finally, Hurley was forced to abandon his professional equipment; thereafter he captured some of the most unforgettable images of the struggle with a pocket camera and three rolls of Kodak film. Knowing something of Antarctica and having later revisited, researched and written about that incredible edifice of ice, storm and calm, I can suggest no finer account of this last great endeavor of the heroic age of polar exploration than Caroline Alexander’s The Endurance. The tale of crossing the Island, after a journey in a rowing boat that involved tackling Cape Horn, is a story in itself, and one that author Caroline Alexander tackles both engagingly and sensitively. Alexander’s writing style is clear, concise, but never dull. It moves at a good pace, so there is never an opportunity to stop and put the kettle on. And that would be good enough. But the story of Shackleton’s Antarctic expedition rightfully deserves an accomplished recounter, and this book deserves a place on the bookshelves of anyone interested in that post-Victorian expedition era. Splendid in every way, and first-class value. A thrilling account of one of the last great adventures in the Heroic Age of exploration. CAROLINE ALEXANDER is a professional writer who has contributed to many of the world’s most prestigious magazines. She is also the author of four previous books, and was the curator of an exhibition on the Shackleton expedition that toured the USA to great acclaim.